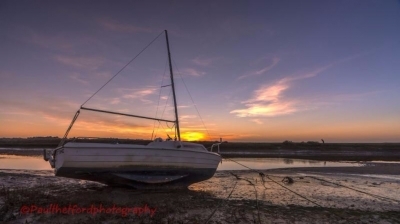 Driftwood Gallery is the home of Paul Thetford Photography. At Driftwood Gallery we offer for sale fine art prints of Norfolk and beyond, Prints are available in a wide range of solid wood frames. We are now offering a full framing service for art work and photographs in a wide range of mouldings. We also sell prints ready mounted to take away and frame yourself. We offer a bespoke printing service up to A1+ size and also a bespoke mounting sevice in a choice of different colour mount boards. we stock a range of photographic papers by Permajet and offer a scan to disc service for old prints, negatives and slides. A camera sensor cleaning service for Dslr or other interchangeable lens cameras is also provided. Paul offers 1 to 1 workshops anywhere along the Norfolk or Suffolk coast and he also covers areas of the Norfolk Broads. Workshops can be purchased for oneself or as a gift for someone else. This stunning Norfolk Hotel offers suites, superking bedded, twins, doubles and single rooms on either a bed and breakfast or dinner B&B basis all located in a converted gentlemen’s club house in the centre of Cromer. This former club house was reportedly built to entice Edward VII to continue to frequent Cromer, located on the prestigious tree lined avenue opposite North Lodge Park (which overlooks the sea), Virginia Court Hotel is a stone’s throw from both the town centre and the North Norfolk seafront. Since becoming a hotel in the 1920s the hotel has gone through several re-iterations and updates and now offers fabulous accommodation, delicious food, a sun trapped garden and ample free parking. 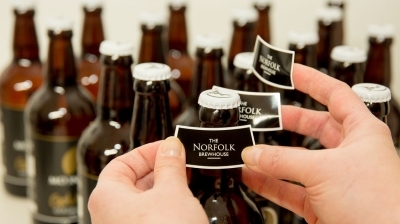 This North Norfolk hotel is also fully wifi enabled, ensuring connection in both public areas and your bedroom. And its free of charge! Virginia Court Hotel in Cromer is set amidst the beautiful surroundings of North Norfolk. You’ll find plenty to do here including walking along the North Norfolk coastal path, birdwatching at Cley, visiting Sandringham and the halls at Blickling, Felbrigg, Holkham and Houghton. Take a boat trip to see the seals at Blakeney point or explore the Norfolk Broads. Additional activities include exploring the local villages and towns. Holt is a pretty Georgian market town packed with unusual shops and galleries. There’s also a country park and steam railway nearby. Cromer itself is famous for its delicious, sweet (but small) crabs and when in season between May and September there is nothing better than to eat in our Dining Room restaurant and feast on local crab. Our seasonal menu includes crab served in a variety of ways including; crab crostini, potted crab, crab cakes, salads and thermidor to name a few! Basing yourself in Cromer allows you to easily explore the town; watch the fishermen land their catch directly on the beach, visit the Henry Blogg and lifeboat museums, catch your own crabs off the pier and take in the famous Seaside Special Shows on the award winning Cromer Pier! For those with a little more energy try a walk up to the Cromer Lighthouse or even play a round of golf at Royal Cromer Golf club. For a relaxing leisure break by the coast in stylish Cromer accommodation you will enjoy the Virginia Court Hotel. 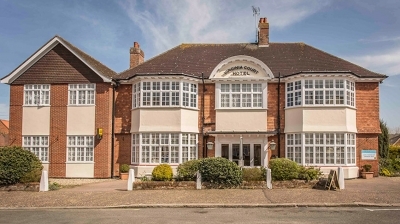 With its modern hotel rooms the Virginia Court Hotel in Cromer offers a comfortable relaxed experience where you will receive friendly but professional service from all our team. So sit back, relax and enjoy a refreshing drink before sampling the delights of our evening menu featuring a variety of locally sourced foods including the famous Cromer Crab (when in season). You will find Virginia Court Hotel in Cromer is the most ideal of Norfolk Hotels for all types of breaks; awaydays, microbreaks and short weekend breaks or for use as a base for longer stays. I am a painter based in North Norfolk producing a range of original acrylic paintings in a contemporary style. These come in a range of sizes and commissions are welcome. I have works in a variety of Galleries and am available for commissions. 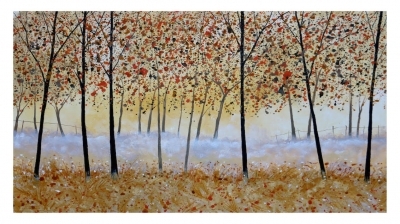 My paintings are contemporary in style and suitable for a wide range of interior decors. 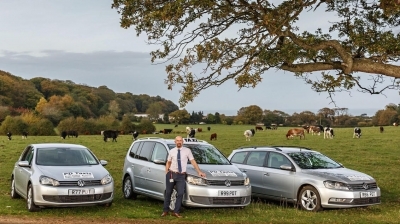 Taxi service based in Sheringham offering local and long distance transfers, Airports, Railway and seaports, takeaway delivery service, hospital and medical appointments, supermarket shopping runs and much more. With competitive fares and no price increase after midnight we endeavour to be the best taxi service on offer locally. Top rated local taxi service on google with 5 star reviews on Facebook also. Please visit pdtaxi.com or pdtaxis on Facebook for testimonies. Presenting a fleet of modern cars from normal taxis seating 4 to 6 passengers and up to 8 passengers in our minibus. All vehicles come fully insured with public liability and are fully licensed with the local council. All drivers are police checked, have extensive local and distance knowledge and are smart, friendly and courteous at all times. Open 24/7 seven days a week contactable via mobile number 07990 505095 as 24hr answer service or on 01263 825523 as an 9-5 office number. Please ask for Pete for any further information or a tailor made quotation. I provide commercial photography services at competitive prices for all types and styles of businesses. Whether your requirement is for corporate profile shots, photography of your products and services, photos for corporate events or press releases I'm able to get to the heart of your brand to help you engage new and existing customers.